Michael Yudell, a professor of public health at Drexel University – well clearly his degree shows he is an expert on genetics, says Race is just a social thing. “There is not a single absolute genetic difference, meaning no single variant where all Africans have one variant and all Europeans another one” said Svante Pääbo, a biologist. This is a ridiculous argument to make because we do not have access to the entire genetic code of all humans! This is even more incredulous when it is the researcher who worked on the Neandertal genome project which clearly showed NO NEANDERTAL GENOME IN BLACKS. Is he just psychotic? He’s German, so … errr yes. Furthermore, we do not yet understand the genetic code, how alleles work, if its combinatorics, epigenetic, etc. 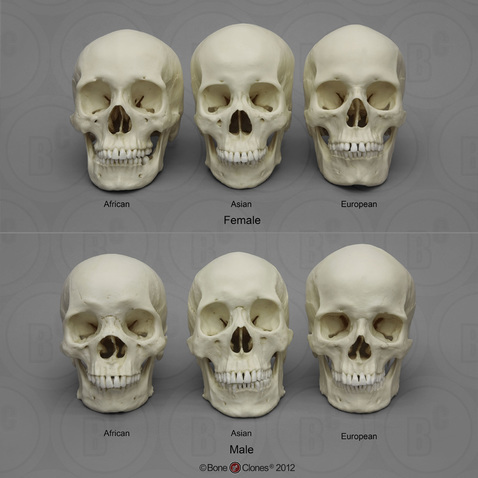 We have a long way to go before our knowlege of genetics trumps our knowledge of Race. We can even look at black brains and see their smaller size, lack of sulcus, and folds and easily identify it from europanic brains. The notion that race is just skin deep or a social construct is ridiculous, a notion chanted by idiots who do not know the facts. This confusion is pushed by leftist scientists who lie and do not apply the scientific method – Stephen Jay Gould’s Mismeasure of Man is one classic example of this fakery pushing the argument that race and brain data discovered by Morton was forged when in fact it was correct. And for 60 years we have people running away from race science and data and even commiting outright fraud and getting celebrated for it like Gould or having their lives destroyed like Watson did, when in fact everything he said was true. Race science is NOT Racism. You are only RACIST when you are commiting an ERROR. Discussing the science of race is not and has never been racism it is science. Previous Previous post: South Africa Shocked Blacks Aren’t Paying Taxes – Revenues Cut in Half!